Teamwork is necessary for the comprehensive estate plan that will accomplish the vast majority of your goals. If you don’t have appropriate estate planning tools in place, your loved ones could be the ones to deal with the consequences. Work with a team of professionals who understand how your estate can be affected by your investments, your taxes, and your retirement income plan. Looking at your existing will and trusts to determine whether these need to be updated. Putting together a balance sheet of all of your liabilities and assets. Collecting any personal data about you, your family and your personal belongings. Evaluating all estate tax options. Determining the best way to distribute benefits inside your retirement plans. Determining what liquid assets you have that could meet possible estate taxes and expenses. Computing liabilities related to asset protection, gifts, income tax liabilities and estate tax liabilities. Determine the best method to get rid of your share of community property. Thinking about things like the unlimited marital deductions. These tasks are just some of the most basic and instrumental elements of comprehensive estate planning and of course, your experience will vary based on your individual goals, the structure of your family, and other critical issues linked to the estate planning process. 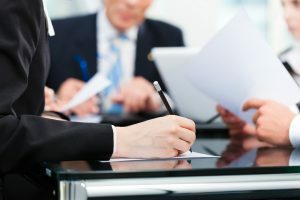 Make sure that you consult with an attorney who is committed to applying your unique situations into your estate planning documentation. All the right paperwork can be gathered, organized, and reviewed on a regular basis by a lawyer. Remember that as your life circumstances change, so too should your estate plan. New tax laws, marriages, divorces, children, or grandchildren can all prompt you to rethink your existing strategies.